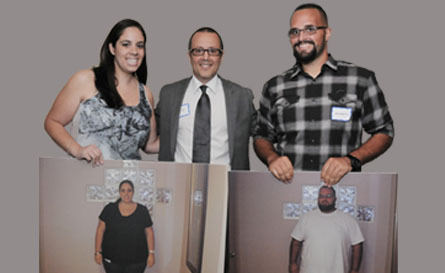 Karysa and Roberto Lost 250 lb! The goal of our practice is to see happy and healthy patients like Karysa and Roberto. We strive for excellence in bariatric surgery and in all aspects of patient care surrounding the weight loss procedure. Don’t wait to take the first step towards a healthier life! Start a Healthier Life with Bariatric Surgery! Say GOODBYE to diabetes, sleep apnea, reflux, hypertension, depression and other obesity related diseases. Take a step towards a heather life today! Your first step is to attend a FREE Information Session about bariatric surgery hosted by Dr. Paul Wizman. You will get all the information about types of weight loss surgery, health insurance requirements, and pre-op process at our office. To attend the next Information Session click here. Dr. Paul Wizman received his medical education at McGill University in Montreal, Canada, after completing a fellowship in Laparoscopic Surgery. He practiced general surgery for 9 years and became deeply interested in weight loss surgery in 2001. Dr. Paul Wizman has since completed over 4,000 weight loss surgeries and is accomplished at the gastric bypass, gastric band, sleeve gastrectomy, and revisional bariatric surgery. 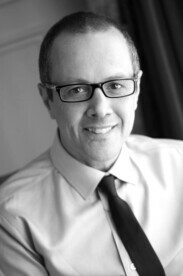 He is committed to his patients and has limited his practice to the study of weight loss surgery. I am one of Dr. Wizman's patients who highly recommends him to anyone who seeks the very best and brightest bariatric surgeon. This doctor runs an office that is organized, professional, and caring which traits they have learned from him. The office is clean and comfortable and appointments are kept, on time. All one needs to do is follow instructions to change your life for the better, forever. This doctor and his practice are THAT good. Dr Wizman has been my doctor since 2002. He is amazing with an incredible bedside manner. I would not go to anyone else for surgery ever. He has always been there for me for everything he is a blessing from god. My life has changed and I am no longer having pain or feel inflammed throughout my body. I also look good which is a nice side effect of the Sleeve surgery. I really appreciate all the good after care from Dr Wizman and his team. They are the BEST. All the help from Sandy A is appreciated . She is very compassionate and caring.